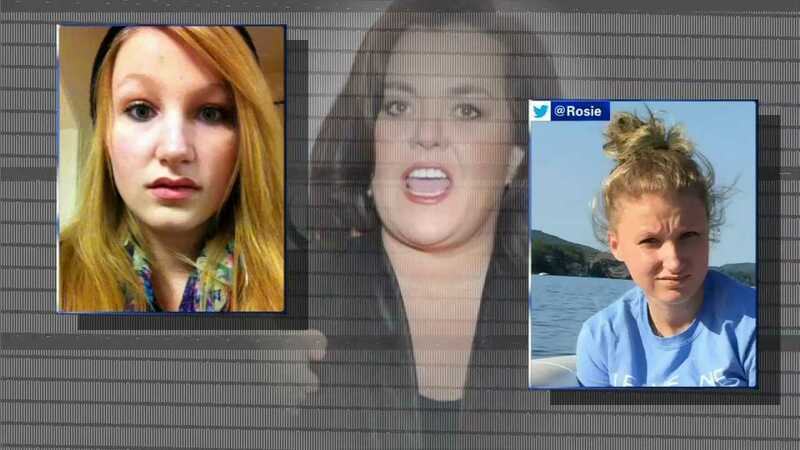 NYACK, N.Y. -- Update at 6:28 p.m.
Rosie O'Donnell said her daughter, Chelsea, that her daughter has been found. "chelsea has been found and is safe in police custody - thank u all for the help and light"
Rosie O'Donnell's teenage daughter has been reported missing in Rockland County. Chelsea O'Donnell, 17, was last seen on Tuesday, Aug. 11. Police in Nyack, New York, have been searching the Rockland County area since Sunday, Aug. 16. She was last seen wearing a black sweatshirt hoodie, dark ripped blue jeans, women's grey converse sneakers and a black backpack. She has a large tattoo on her right side of a dream catcher with the word "Breathe." A message posted on Rosie O'Donnell's website said that Chelsea left with her 6-month-old therapy dog named Bear, a 9-pound brown and black terrier. The site said Chelsea stopped taking her medicine and is in need of medical attention. The post is asking anyone with information to contact police at 845-358-0206. A representative for Rosie said in an email statement: "Chelsea, like millions of people, lives with mental illness. It has been a difficult road for Chelsea and her family and they just want her back safe." South Nyack police told Eyewitness News that Chelsea has not been classified as a missing person yet. They said they believe Chelsea ran away, and their investigation is continuing. Detectives are working closely with the family, and the search for Chelsea is active, the department said.